Are you intimidated by the thought of breastfeeding twins? You’re not alone. But it is possible to successfully breastfeed your twins. If you are worried that you will not be able to produce enough milk, remember that it is supply and demand. Keep your body healthy, hydrated and rested, and the rest “should” come. 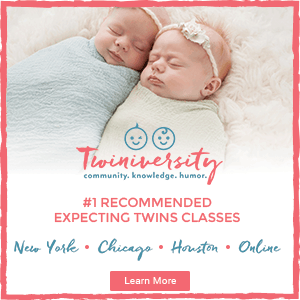 (For tips on increasing your milk supply see here) Here are just a few basic things to keep in mind for breastfeeding your twins. You will want to have in your reach at least a couple pillows or a nursing pillow, like a boppy or a twin nursing pillow. Make sure you change which breast each baby nurses at so that your supply remains even. 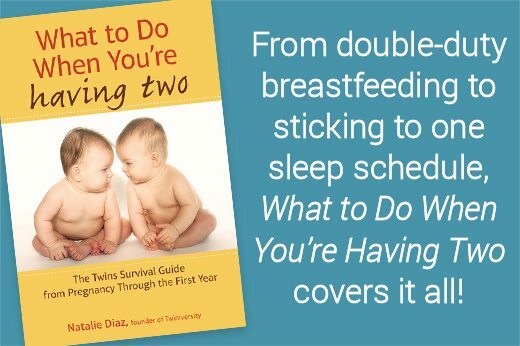 There are several different positions to tandem feed your twins. You will have to find the best for you personally. Double Football Hold- This is the most popular position recommended by twin moms. You place both babies at your sides, with their legs under your arms and their heads supported by your hands. Double Cradle- Position the first baby in a cradle hold, with his head in the crook of your elbow. Bring the second baby up to your other breast, cradling him in the crook of your other elbow. Cross their legs over each other, so they both rest comfortably on the pillow. Combination Football and Cradle- Some women find feeding one baby in the football hold and the other in cradle helpful, especially if one baby prefers one position or the other. Position the baby in football hold first, and then bring the second baby up in a cradle hold. Nursing Wear- You need to be comfortable. I found the nursing bra, that I had purchased, (with a full coverage/molded cup), to be a bit too cumbersome. I went back and purchased a sport-style nursing bra, which was better. Then I found these nursing cami and tank tops, and never looked back. I wore these under everything! I loved that they keep your belly covered as you nurse, (especially since it was winter time when I brought my babies home.) You can find them at a decent price at your local retail store. Others need more support like a bra like this from Bravado Designs which comes in sizes up to a G cup. These parts you should buy new if using a used pump. 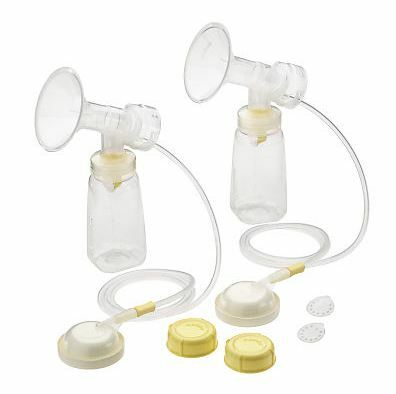 Using a breast pump: You will need a hospital grade, double electric breast pump, if your babies are born premature or are otherwise medically compromised. And you will need to pump more than once or twice a day. (I don’t even know why they invented single breast pumps!) A hospital grade pump is best and preferred by most mothers. You can purchase or rent one from your local hospital, WIC office, or any other medical facility. Read here for details about your health insurance company picking up the tab. You can use a used pump if all of the attachments are new including: breastshields, valves, membranes and tubes, as shown in the photo. DO NOT use attachments used by someone else, for sanitary reasons. I pumped for about four months for my premature twins. It is hard, but is well worth the effort. A ‘hands-free’ pumping bra/bustier, (pictured right), will help free your hands for multi-tasking, while you pump. 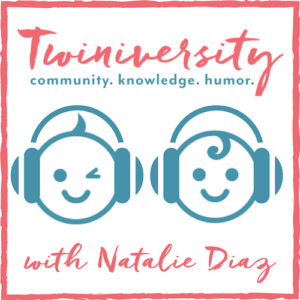 Twin mama Erin D. suggests, “Making pumping your ‘me’ time!” So grab the remote, a book, or come read tips and get support on Twiniversity, while you pump! We wish you the best on your endeavors to breast feed your multiples. Here are some more tips for helping to succeed at breast feeding. And if you ever have any questions, please feel free to contact the Twiniversity team for support!